RinCo Incorporated’s core values patch. 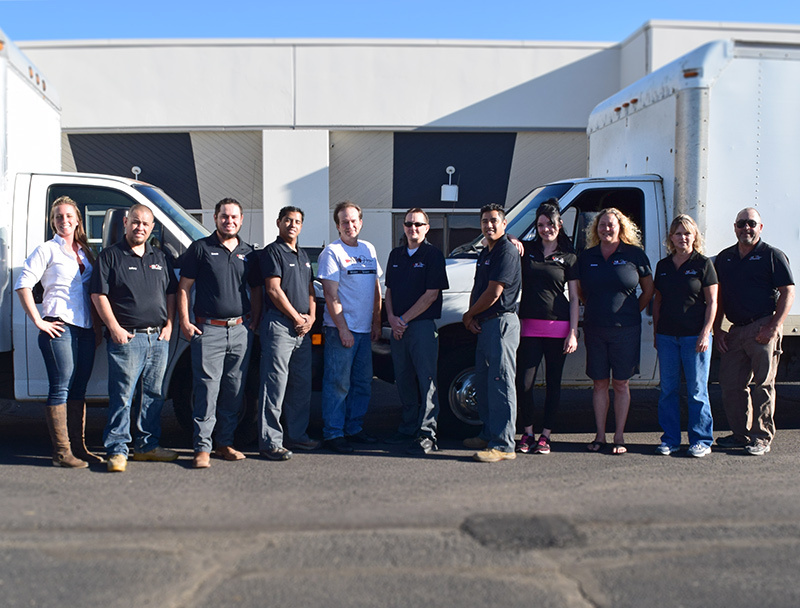 RinCo Incorporated was founded by Jonathan and Jessica Rinfret as a solution to many homeowner’s restoration needs. They wanted to provide the state of Colorado with a restoration company that was built around providing help that is honest and trustworthy. Both Jonathan and Jessica have studied disaster damage with the Disaster Academy, Interlink Supply and Jon-Don. They are passionate about knowledge and new information about drying techniques. They each take at least one continuing education course every twelve months. Jon is the restoration brains behind RinCo Incorporated. He does all the research on latest techniques and equipment. He spends his days finding ways to better improve the company’s operations. Jon has obtained his Master Water Restorer’s certification with the IICRC which means he is certified in disaster damage, carpet repair & re-installation, carpet cleaning, applied microbial remediation (mold), applied structural drying and the OSHA 10 hour construction course. Jon is also certified in Lead Safety for Renovation, Repair & Painting with the Environmental Protection Agency (EPA). Jon still spends a lot of time on job sites ensuring that the processes are being followed to RinCo Incorporated’s standards. Jessica provides the accounting & marketing background that keeps the inner workings of the company running smoothly. Jessica has taken the Water Restoration Technician (WRT) course and the Carpet Cleaning Technician course with the IICRC and has also completed her course curriculum in Strategies for Success with Jon-Don. Strategies for Success is a course the is focused on the restoration industry and how to run a superior restoration company with superior customer service. She has also completed the Healing the Loss series with Jon-Don/Steve Toburen. Healing the Loss is about how to treat customers with care & respect in their water or mold loss situation; it is about empathizing with them in their time of stress. While Jessica is primarily found in the office, it is not abnormal to see her working as a technician alongside the rest of the technicians. Operating under one primary DBA, All Pro Restoration, RinCo Incorporated offers multiple disaster services. Click on “About All Pro Restoration” and other tabs above to find out more about what services RinCo Incorporated has to offer.